How do you build a personalized health strategy? This is the first in a series of posts designed to help you plan your strategy for optimal health throughout all the phases of your life. Having a well thought out plan is an important foundation for reaching all kinds of significant life goals, from choosing a college to buying a home, making an investment, or planning for retirement. It’s equally important to build a personalized strategy to help you and your family plan for optimal health. But how do you go about building this? The first step focuses on discovery and evaluation of your needs and preferences. Type of work you do: Does your job require physical exertion or put you at risk for injuries like chronic back pain? Does your job cause significant stress that can lead to health issues such as heart disease or depression? Do you travel frequently for work? Location of family members: Are your children away at college where it might be hard for them to find a doctor if they’re ill or injured? Types of activities you participate in: Are you a runner who may need the care of a sports medicine specialist or orthopedist? Are you working on getting in shape and could benefit from the advice of trainer or nutritionist? Health issues you may be dealing with: Does a member of your family have a chronic condition like heart disease, diabetes, or asthma? Do any of your children have a learning disability? Are any family members cancer survivors? What are your health goals and challenges? Do you have a family history of cancer, heart attack, Alzheimer’s disease, or another serious illnesses? What steps are you taking to lower your personal risk of these conditions and what medical guidance do you need to better manage your risk? What has your current doctor done to help you reach your health goals? Are you satisfied with how your doctor is helping you reach your health goals and manage health problems? If not, what would you like to be done differently? What health concerns keep you up at night? Are you finding it difficult to manage the care for an ill spouse, partner, or child? Do your aging parents need help managing their health issues, medications, and physician’s appointments? Have you and your family thought about what types of medical treatments you want if you are seriously ill or injured? Do you have an up-to-date advanced care plan, medical directive or do not resuscitate order, if you don’t want extraordinary life-saving measures like being placed on a ventilator? 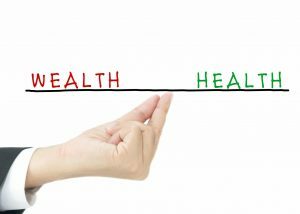 What effect does your health insurance have on your choices? Do you need to limit your choices to doctors and hospitals within your health insurance network to manage your healthcare costs? If you had a serious illness or injury and the best doctor was outside your insurance plan, would you consider going out of network for higher quality care even though your out-of-pocket costs would be higher? Do you prefer to receive care close to home or are you willing to travel to a top medical center outside of your area for a serious health condition? What is your healthcare budget? How much can you afford to spend on medical care? Do you have a health savings account or another source that you can use to help pay for medical expenses? How much did you spend on medical care and medications last year? If you were faced with a serious illness or injury, how would you pay for your care? As you begin to address these questions and discuss your needs and concerns with your family, your doctor, and, if appropriate, your financial planner, you’ve taken an important first step toward building your plan. Next in this series: Stay tuned for Step Two, which will focus on determining and setting your long- and short-term health goals.